Renew your hair with Pantene Pro-V Daily Moisture Renewal Conditioner. Featuring a potent blend of Pro-V nutrients, this luxurious cream helps to visibly replenish dry, lifeless hair from root to tip. Micro-moisturizers work to wrap every strand with lasting hydration, leaving your hair with 2X more moisture. * The result? Beautifully soft, manageable strands. *when used as a system with Daily Moisture Renewal Shampoo based on moisturized feel vs. non-conditioning shampoo. Revives hair a great amount. Long lasting. Works for dryness well. I'm a licensed hairstylist and i have tried alot of products and i keep going back to the Pantene Moisturizing line for my hair. I love the results i get after i style my hair and no frizziness or feeling of dryness to my ends or residue build up on my scalp EVER! so I received this conditioner from Influenster as a sample, I got a full size bottle and I didn't want to review it until I used the whole bottle. I already bought my second one and I love it. I have very frizzy hair and after it dries it leave my hair really smooth. 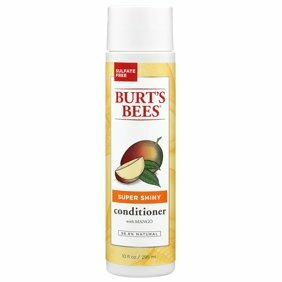 This is my go to conditioner. I received this product for free in exchange for my honest review, all opinions are my own. This is the conditioner I never knew I needed. I have thick, straight hair that always seems to be dry. I've been using this product for a few weeks now and I can honestly say I've seen a huge improvement. My hair is more moisturized and isn't weighed down! I received this product complimentary from Influenster in exchange for my honest review - this is actually the first Pantene product I've ever used. Typically, I am buying directly from my salon. That said, I really LOVE this conditioner. It leaves my hair so soft and healthy feeling to the touch. I loved the conditioner so much that I went out to buy the coordinating shampoo.